عندما تزور أديليد, ستشعر أنك في بيتك في Marion Hotel الذي يقدم لك إقامة متميزة و خدمات عظيمة. يجذب هذا الفندق ذو 3 نجوم، والذي يبعد 11 km فقط عن وسط المدينة و عن المطار، الكثير من الزوار سنوياً. بالنسبة لمن يريد الخروج، هذه بعض المعالم السياحية المتوفرة للزوار Primary Dental Marion Domain, Marion Domain Medical & Dental Centre, Flinders Private Hospital. إن الخدمات التي يقدمها Marion Hotel تضمن للنزلاء إقامة مريحة. هذه بعض الخدمات الموجودة في هذا الفندق: واي فاي مجاني في جميع الغرف, خدمة التنظيف يوميًا, كازينو, واي فاي في المناطق العامة, صف السيارات. في الفندق غرف نوم يتجاوز عددها 12، كلها مجهزة بعناية وجمال وبعضها مزود بـ تلفزيون بشاشة مسطحة, اتصال لاسلكي بالإنترنت, اتصال لاسلكي بشبكة الإنترنت (مجاني), غرف لغير المدخنين, مكيف هواء. كما أن مجموعة الخدمات الواسعة الموجودة في الفندق لضمان راحتك تترك لك الكثير من الخيارات لقضاء وقتك أثناء فترة إقامتك. إن Marion Hotel هو خيار ذكي بالنسبة للمسافرين إلى أديليد، بما يوفره من إقامة هادئة ومرحة. The Marion is ideally suited for someone attending the Flinders medical complex from the country and who does not want to drive and park at the hospital or daily commute from home. 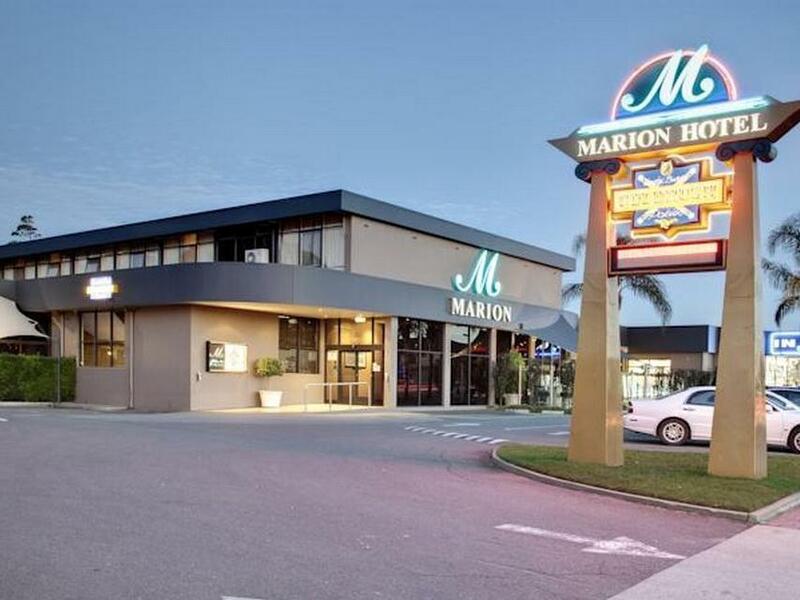 The M44 bus stop is right outside the hotel to take you to the CBD or the Marion exchange, where you connect with a number of bus routes to Flinders Medical Centre. 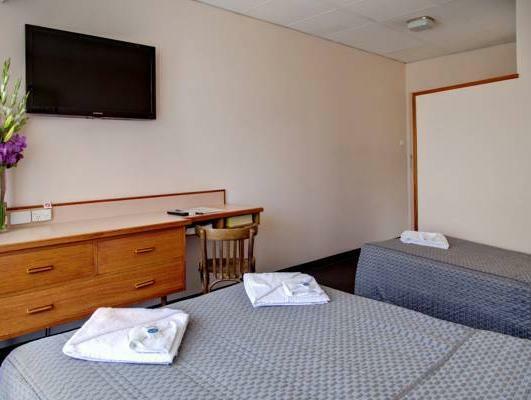 The rooms are clean and well laid out with free wifi. The food is awesome, whether the seniors menu, bar snacks or the full service menu! The bar and table staff are extremely friendly and very efficient. If we need to attend FMC again, the Marion will be our local HQ instead of daily commuting from the country. We had an appointment at Flinders hospital so the hotel was very handy. There are a lot of steps up to the accommodation and you can hear the entertainment in the dining room in your room although this did stop at midnight. The room was clean but the towels smelt of chips ...I think they must have been dried near the extracted for the deep fat fryer. It was OK for the two nights that we stayed but I wouldn't want to stay any longer. It was fine for a quick stay...bonus obviously is pub for drinks and meals right below. it was ok, they didn't have many choices on their restaurant menu. Their bed also had some bugs. bathroom and sink were wierdly placed! overall it was OK for the money you pay, i probably would go elsewhere next time. Staff were helpful and pleasant, food was varied and reasonable, close to event that was attending. They have entertainment below the rooms and on the Saturday night it was very noisy until very late. A Motel-like hotel. Closed to Flinders University so if you are working at the University for some jobs it can be easy enough to stay here and get to the University within 30 minutes. Overall, its a good place to sleep and not for leisure for sure. Very comfortable. Room and bathroom very clean. Bus stop at the door. Very easy access to all main roads by car. Convenient as we were visiting family nearby. Nice. No fuss good food. Poker machines. Large car park. Not far from my mothers home. Close to the Repatriation General Hospital on Dawes Rd.